We believe every brand initiative should begin with a deep dive into the target customer’s mindset in order to create communications that truly connect and convert calls to action. 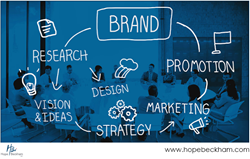 Hope-Beckham Inc. (HBI), a full service public relations and digital communications agency, today announced the launch of its market research group. Digital Personas to uncover search and social behaviors online, including preferred platforms and content type, influencers, keywords, most active times online, needs and motivations. Customer Journey Mapping to uncover every step from the inciting moment that ignites the customer need through the entire path to purchase, including attitudes, search and social behaviors. Focus Groups and Group Studies to test products, brand strategies and more with target customers and/or media and influencers, including group selection, discussion guidance and summary reporting. Affinity Interest Mapping to uncover a target customer’s interest outside of an existing brand category in order to drive product innovation, partnerships and marketing channels that may otherwise be overlooked. Hot Topic Heat Maps to help instantly identify the most critical concerns of any target audience by region, ensuring the brand message resonates with audiences where they are. Secret Shoppers to investigate the customer experience at every touch point, whether in-store, online or via apps. Specific shopper genders, ages and ethnicities are available. Online Surveys to uncover relevant trends and insights which can be transformed into media stories and digital content. HBI recruits the participants, crafts the survey questions, executes the surveys and analyzes the results.